When the incredibly affable Chris at Ponsonby’s Mecca Cosmetica store fires a recommendation my way I know that the product will be killer, as well a new addiction. That’s certainly true of Chantecaille’s Faux Cils Longest Lash mascara, which I left with a tube of the last time he did my makeup. I’d heard of the brand’s now legendary Faux Cils - a high-performance, super-volumizing mascara that many claim to be far superior to even the most delicious of false eyelashes. It instantly lengthens, thickens and accentuates the lashes without clumping, and contains ingredients like rose water (a Chantecaille USP), natural waxes, vegetal polymers and red seaweed to give natural curl and bounce to lashes. A unique filming agent defines the lashes and perfectly adheres the rosewater-based formula to them, making it extremely resistant to high humidity conditions and perfect for use Down Under. But onto Chantecaille Faux Cils Longest Lash Mascara, my newest addiction – thanks Chris! – and one hell of a great discovery. Fusing the newest lash-growth peptide technology with the original, sought-after Faux Cils formula, it’s a tiny tube that packs a hell of a punch when it comes to getting truly beautiful lash length and density. Lashes get a boost with Chantecaille’s own Sym Peptide, which stimulates keratin genes and encourages the strength and length of your natural lashes without irritation or discolouration, a nasty side effect of many formulas in the past. And similar to the original Faux Cils formula, Longest Lash Mascara creates immediate volume with a special combination of natural waxes to thicken and plump lashes. 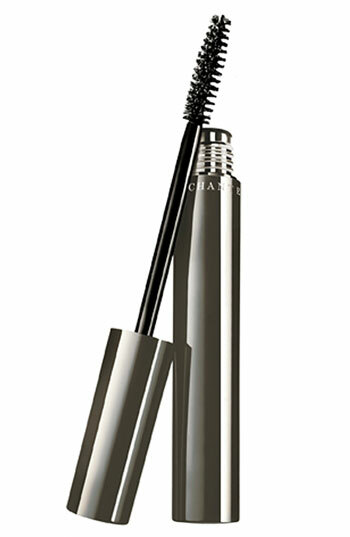 For those of you unfamiliar with the glorious Chantecaille, it calls itself “natural beauty, as luxe would have it”. Love that! Renowned for its sophisticated, technologically advanced, botanically based formulas, the brand’s proprietary formulas integrate advanced biotechnology with Chinese medicine, aromatherapy and flower pharmacology to minimise the effects of inflammation on the skin. Its range includes skincare and botanical makeup, and it’s as high performance as they get. Sounds like an amazing mascara. I wish you had done a before/after!